It's all in the name of food during Taste of Charlotte. Folks line the streets of Uptown to fill their bellies with pure culinary delight. This annual event features food from a jumble of Charlotte restaurants (including Amelie's French Bakery, Brazas Brazilian Grill, Caribbean Hut, Chen's Bistro, Mert's Heart & Soul, Namaste Indian Restaurant and a load of others). In addition to live entertainment and other activities. Come hungry. Admission is free, but tokens for food must be purchased. June 11-12, 11 a.m.-11 p.m.; June 13, 11 a.m.-6 p.m. Held in Uptown Charlotte along Tryon Street, from Martin Luther King Jr. Boulevard to 6th Street. 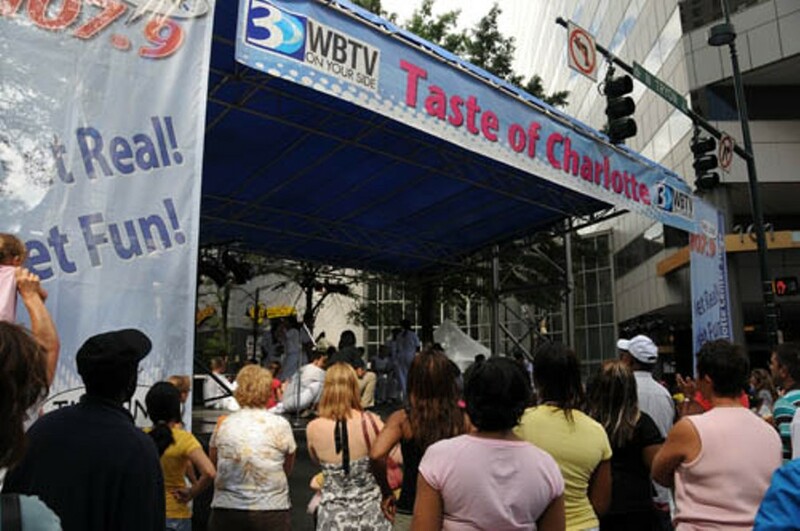 www.tasteofcharlotte.com.